For those of you who know me, please know I am okay. I am doing my best to make positive change, but sometimes the the wind is at your back and sometimes you are heading into the wind, I have been going against the wind for a bit. I wish I could say more, I really do. Had an action packed weekend. Traveled back to Philadelphia to visit family and friends, the kids spent Saturday night with the Fellmans (reportedly had an epic day at a swimming pool complete with several races including freestyle, freestyle plus inflatable fish shaped pool float, and race while mounted on fish shaped pool float). Without the kids, Jac and I snuck into Philadelphia to meet up with some of my friends and their wives. We ate lunch with cocktails, then lounged at the pool where my friend did a monster cannonball and doused about a dozen people who were relaxing poolside (the agitation on the faces was priceless, but concerning). After catching up in and around the pool, we ventured over to the Mutter Museum. 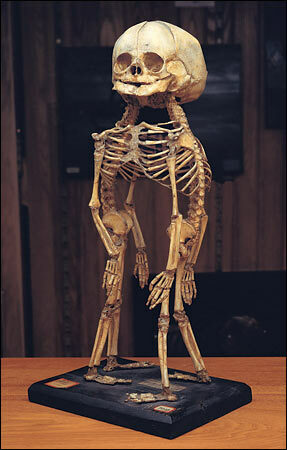 The Mutter Museum is a museum devoted to better understanding the human body and medical history. When you boil it all down though, it is the world’s best collection of human oddities. We started out looking at all kinds of skulls and various physical abnormalities, I was doing fine, but then we moved into the basement and found the most macabre collection I’ve ever seen. It was essentially a whole room filled with dead babies in glass jars that were deformed in some shape or form. I’ve passed out once before after giving blood and I know the signs and symptoms, well, I was experiencing those same sensations and figured I needed to stabilize myself immediately. I removed myself from the room, found a benign exhibit on the human brain, took several long and deep breaths and gradually regained my composure. After that, I just did a couple laps to feign like I was still interested in the museum and then chilled out in the gift shop until everyone was ready to leave. The above image is one of the exhibits you could see at the museum. We had a wonderful evening in Philadelphia with a really nice dinner and stopped at a couple of bars. Fortunately, I didn’t have Mutter dreams when I went to bed that night. I recently read a couple books by James Michener and in his autobiography, he mentioned that he became pretty good doing tarot card readings and he would actually do readings for a small fee at fairs in Doylestown to raise money for local charities. I bought a used book all about tarot card readings and am halfway through it now, I hope to be fully proficient by Thanksgiving (my deck of cards were in the mailbox when we got back from Philly yesterday). I also read a book called Fallingwater Rising, which was essentially an autobiography of the Fallingwater house in western Pennsylvania. We are interviewing a couple folks to potentially help me out this week, fingers crossed we hire someone soon! When I returned from work after the vacation, it was bonkers. Nothing bad, so absurdly busy. All July was a 6AM to 6PM month at work, I am finally breaking free from that schedule (at least for now). The problem stems from my promotion giving me a lot more to do (taking on big projects), but we have not yet found someone to do all the stuff I had to do in my old position. So, in the meantime, I am doing two pretty demanding jobs. A bunch of people are being interviewed now and that should relieve a lot of the pressure once a candidate is selected. When I used to come home from the fish market, it was impossible to get the smell of fish off me for hours after returning home. In July, I felt like stress stuck on me even after I returned from work and it took me an hour or two to transition into a relaxed dad. I didn’t come home and yell at kids or kick the dog, I just wasn’t the ideal version of myself, a tad vacant for a bit. For the most part, I have been balancing work and family pretty well over the past couple of years, but there are spurts when one side dominates the other (and it is not always work that gets my full attention, they were extremely flexible when I donated a kidney & disappeared in central Colorado!). Regardless, one night I was coming home and not the best version of myself, so I decided to bring home flowers for Dalia and chocolate covered pretzels for Winston (that he shared with the family, but he did eat a surprising amount). Last weekend, I took off on Friday and we went to the ReplayFx gaming festival, we got to see Billy Mitchell play Donkey Kong (you have to check out this video about him), we played unlimited pinball and old arcade games, and we got a really nice lunch in downtown Pittsburgh. Jaclyn and the kids went this week to Ithaca to visit our wonderful family up there. They are just having a blast and sending me pictures of them at Nature Centers, mini golf, and at the pool. Since we were just on vacation and everything remains busy at work, I stayed in Pittsburgh with the dogs. A couple of months ago, I bought a used video game called Fallout 4 and I’ve been playing that at night when I get home and I’m totally addicted. I am like a little kid, I have to preemptively set a bedtime for myself or else I would stay up all night playing the game. It has been pretty relaxing. I also took our dogs to PetSmart and we walked out with a bunch of bones and treats that they picked out. Last night, the dogs and I went through the Taco Bell drive through, Rosie ate all of her soft taco except the lettuce. Essentially, without the presence of Jaclyn, I revert back to my 17 year old self.